SERVING LIFE is a community call and response between public audiences and the most hidden members of our society. Since 2013, Hidden Voices has collaborated with men on death rows across the country to envision a multi-arts project able to generate the civic will to revision justice. By challenging our assumptions about guilt and innocence and by providing a vehicle for the public to connect with the actual lives hidden within an impenetrable system, we reinvigorate some fundamental questions. Who is innocent? Who is harmed? How do we heal centuries of oppression? What needs to change for our criminal justice system to reflect a community dedicated to equity and inclusion? Stories from America’s Death Row. A full-length play written by Lynden Harris and directed by Kathryn Hunter-Williams, Supported by a MAP Fund award. An opera/ music theater work-in-progress sharing stories from the families of those on death row. 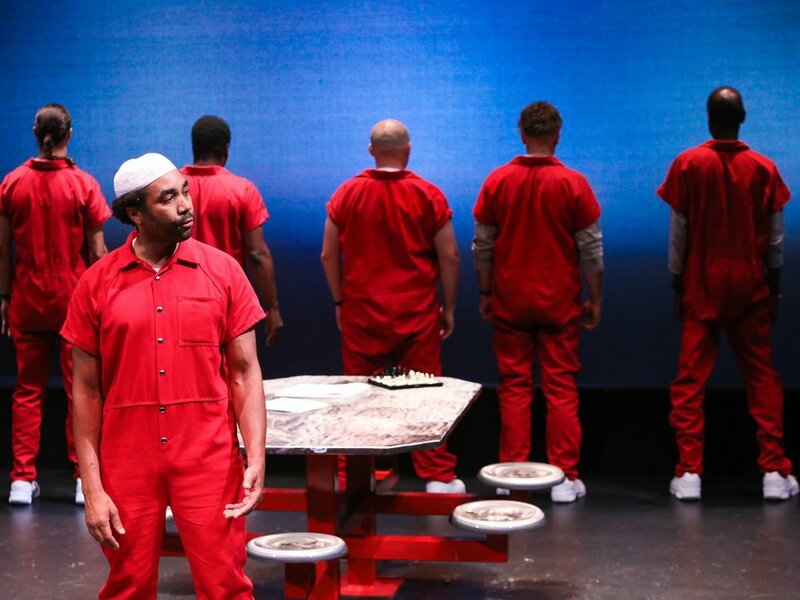 A cycle of 30 monologues sharing stories from death row and designed as a community reading for installation openings, conferences, classes, and events. A traveling, interactive installation that includes Life Maps by incarcerated men, artist renderings of elements from those maps, and Virtual Reality pieces. Portraits and reflections from family members living with a loved one on death row. SERVING LIFE: ReVisioning Justice - Since 2013, Hidden Voices has collaborated with men on death rows across the country to envision a multi-arts project able to generate the civic will to revision justice. Pleiades Arts, Inc. was awarded a grant in support of this exhibit by the Durham Arts Council’s Annual Arts Fund and the N.C. Arts Council, a division of the Department of Natural & Cultural Resources. AT EASE,UNC-Chapel Hill Student Union gallery for the opening reception for AT EASE: Bridging the Military-Civilian Divide and a reading of monologues from military service members, veterans, and their families.